American Wholesale Property: $75K+ spread! Low DOM! High-end FLIP in Westbury! $75K+ spread! Low DOM! High-end FLIP in Westbury! Awesome flip opportunity in HOT Westbury area! Roof and HVAC look great! No signs of foundation issues but still budgeted for. Super marketable floor-plan that just needs high end updating throughout. VERY LOW average days on market of 9!!! 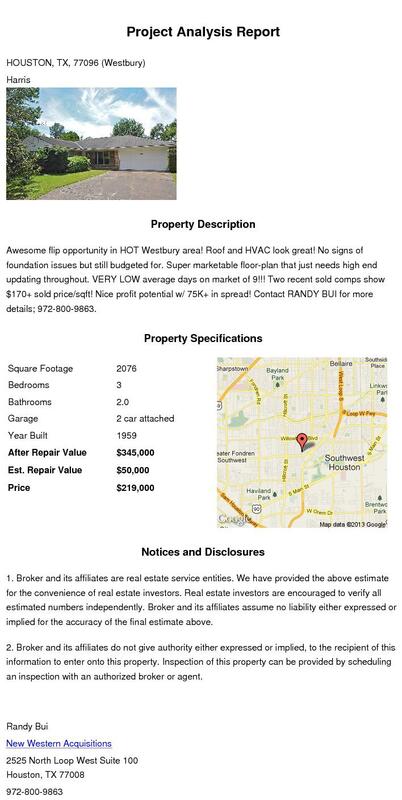 Two recent sold comps show $170+ sold price/sqft! Nice profit potential w/ 75K+ in spread! 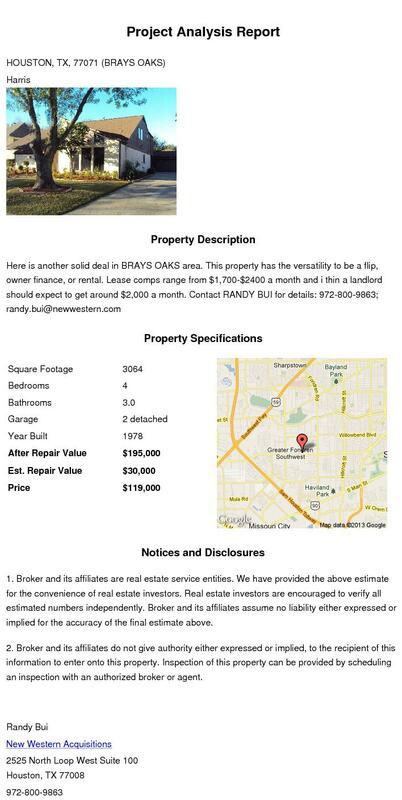 Contact RANDY BUI for more information; 972-800-9863; randy.bui@newwestern.com.